By Sayak96 (themoddingprodigy.blogspot.in) Version 1.0 BETA 1.Features: ----------- ----------- >Exact model of swamp houses in Far Cry 3. >Detailed textures. >Placed in a forest enviorenment to increase the essence of Far Cry 3. >Detailed collision mesh for perfect bounding walls, floors and stairs and the effect of broken floors. 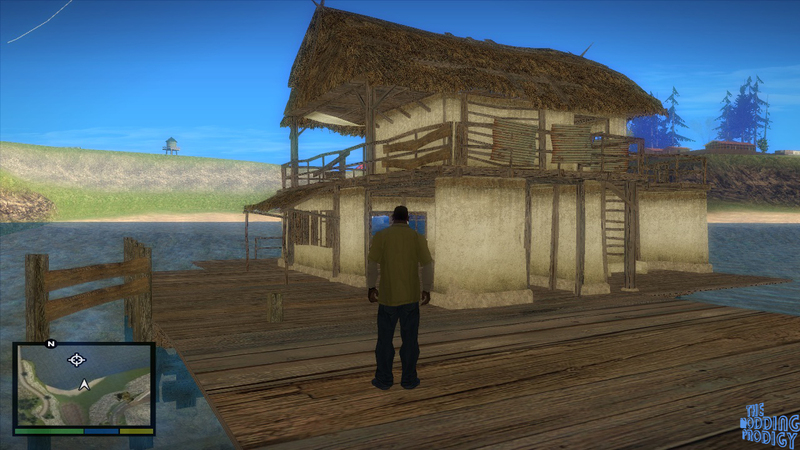 Now feel the experience of exploring a riverside swamp house of Far Cry 3 in GTA San Andreas! In the great and thrilling First-Persion Action-Adventure game Far Cry3, these swamp houses were occupied by enemies for the protagonist to take them out silently. Presence of such houses in a forest riverside, increases the beauty of the scenery as well as adds to the adventure and exploration! !